Bruno Ganz, Known For Role In 'Wings Of Desire,' Dies At 77 Ganz portrayed more than 100 film roles starting when he was 19. His most notable were as an angel in Wings of Desire and Adolf Hitler in Downfall. Bruno Ganz said of his signature role as an angel in Wings of Desire, "In some way I became an angel, and who except me has experienced that in his lifetime?" 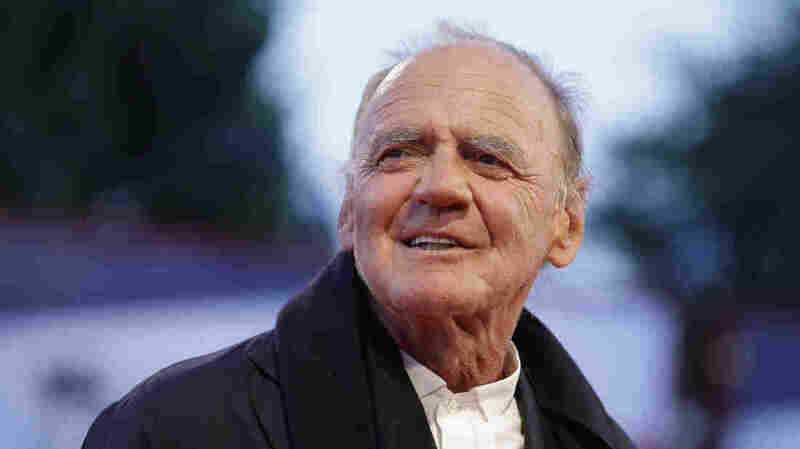 Actor Bruno Ganz, whose long career and signature roles as an angel in the film Wings of Desire and Adolf Hitler in Downfall made him one of the most recognized actors of German-language cinema, died on Friday. He was 77. Ganz played more than 100 film roles starting when he was 19, as well as dozens more on stage. Ganz, who was Swiss, won a number of film awards over his decades-long career. He was also honored with Germany's Order of Merit and made a knight of the French Légion d'honneur — the highest awards for civilian merit in those countries. Ganz was so convincing portraying an angel in 1987's Wings of Desire that for years afterward, strangers would treat him as an angel in real life. "People in planes said: 'Ah, no need to be afraid, because with you here, nothing can happen. Now we are safe,' " Ganz told a Danish magazine in 1999. "Or a mother said to her child: 'Look, there's your guardian angel.' They weren't joking." "That was an amazing feeling," Ganz said. "I loved that. Because that means much more than people saying, 'You are a very good actor,' or 'I love your work.' If they say, 'Oh, you are an angel,' it's like a miracle. In some way I became an angel, and who except me has experienced that in his lifetime?" Ganz's other career-defining role came in 2004's Downfall. He played Adolf Hitler at the end of his life, isolated in his bunker and trembling with Parkinson's Disease. The role was "somehow like skating on thin ice," Ganz told NPR's Scott Simon at the time, "because, you know, underneath it's cold, dark and death is waiting, and it's a strange experience." Some critics — including Wim Wenders, who directed Ganz in Wings of Desire and other movies — said Downfall and Ganz were too soft on Hitler. Ganz insisted it was important to show Hitler as a human being. "We know how to judge Hitler," he told the Irish Times. "We don't need another film that condemns him. We already know where we stand on this. I mean there is certainly no sympathy for Hitler in the film." Critic Kenneth Turan, reviewing Downfall for NPR's Morning Edition, said the movie "doesn't whitewash Hitler or rehabilitate him." Ganz's Hitler, Turan said, "goes from foaming at the mouth to shuffling around the bunker like a homeless man looking for an empty park bench." In Downfall's most famous scene, an apoplectic Hitler (played by Bruno Ganz) screams at soldiers in his bunker. Downfall was nominated for Best Foreign Film at the 2005 Academy Awards, but lost to the Spanish film The Sea Inside. It gained a second wave of prominence years later when YouTube users used the spectacle of Hitler screaming in German as the backdrop for what NPR's Laura Sydell called "caustic satire." Ganz was diagnosed with colon cancer last year. But he still appeared in five films that premiered in 2018, including The Party, which Mondello called one of his favorite movies of the year. And Ganz has at least one more on the way: Radegund, which is expected to debut soon.